The number of users browsing the web through the Mobile phones has been increased nowadays. The website created for the computer browsers will take more time to load the pages when viewed in the Mobile phones and also alignment problem will occur. This makes the user feel disappointed. Here comes the need for Mobile Web Design. We create websites for the Mobile smart phones like iPhone, Android and Blackberry which is compatible with all major phone browsers like Opera Mobile, Opera Mini, Sky fire, Safari, Firefox Mobile, Microsoft IE for Mobile etc. These websites are specially designed based on the display screen size of the Mobile phones and Mobile navigation. These Mobile websites loads the pages at a faster rate which significantly improve user experience and satisfaction, which makes a positive impression to your business. The Mobile websites can be accessed anywhere and more number of users visits the website through the smart phones like iPhone, Android and Blackberry. So this will improve the business by driving lots of users to your business. Have a look at our Mobile. Fillmore Real Estate is New York City's largest privately-owned and operated residential and commercial real estate company. 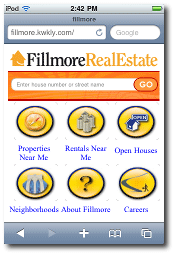 Founded in 1966 and headquartered in Sheepshead Bay, Fillmore Real Estate covers all of Brooklyn. 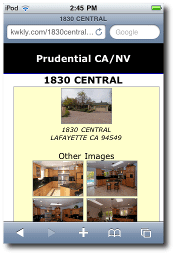 It is one of the borough's oldest and most established and respected companies specializing in real estate. Whether you are buying or selling a home or just want some information and advice,then here is the Mobile website which makes it simple. This website is compatible with iPhone, Android and Blackberry. 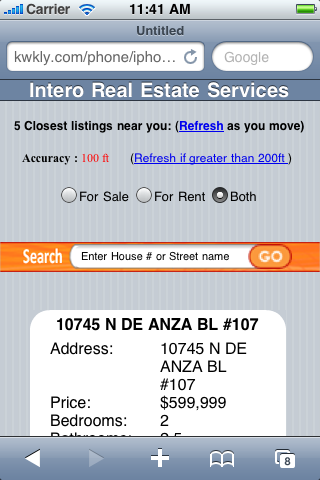 This Mobile website is used to find the nearest location properties. 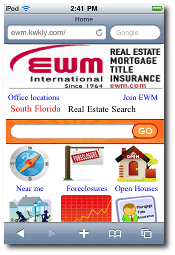 The easiest way to get property information. This website is compatible with iPhone, Android and Blackberry. The details of the closest location of the properties will be listed in the Mobile phone(iPhone, Android and Blackberry) when the user moves closer to the locations. When the user clicks on the map search, the exact location is pinpointed. 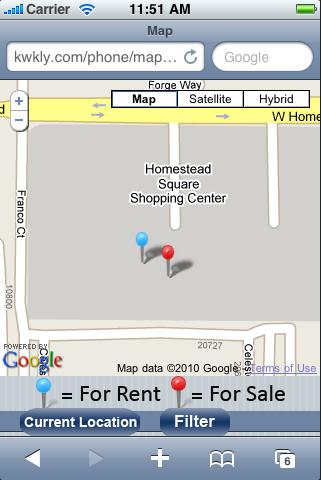 This will be useful for identifying the exact location of the property. Goodlife.kwkly.com provides information about real estate, project marketing and investments. 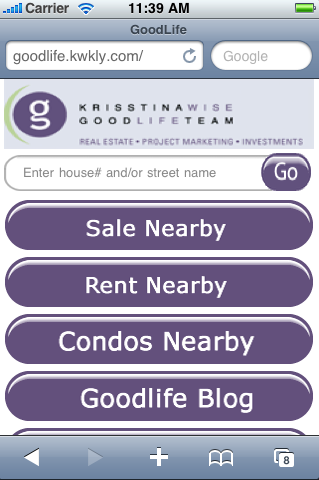 Its easy to search for home, selling home, rent nearby, condos nearby using goodlife.kwkly.com.